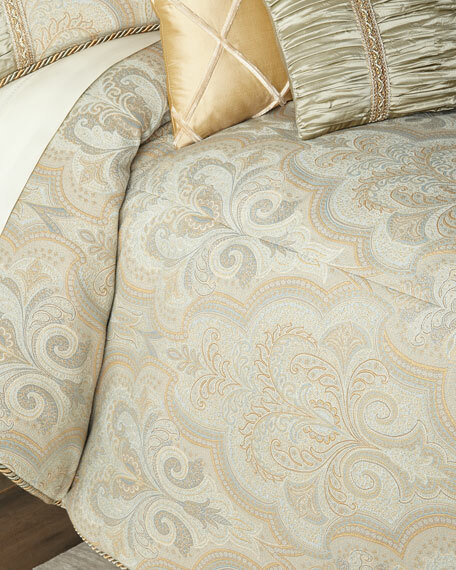 Hand quilted comforter with twisted cording finish. 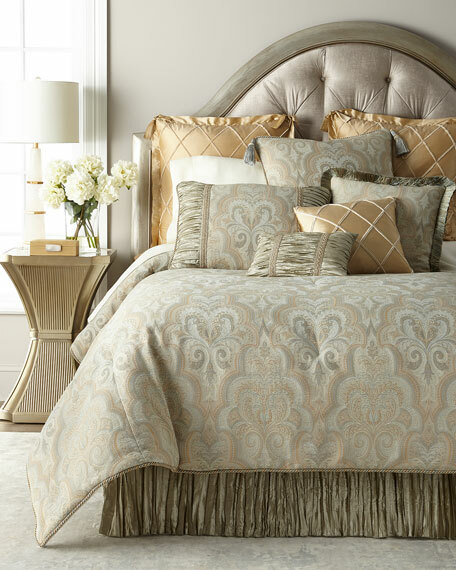 Sham with pleated silk sides. 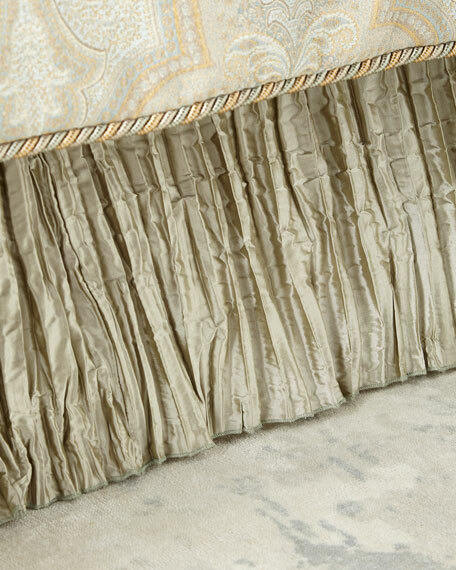 Cord edge and silk back. 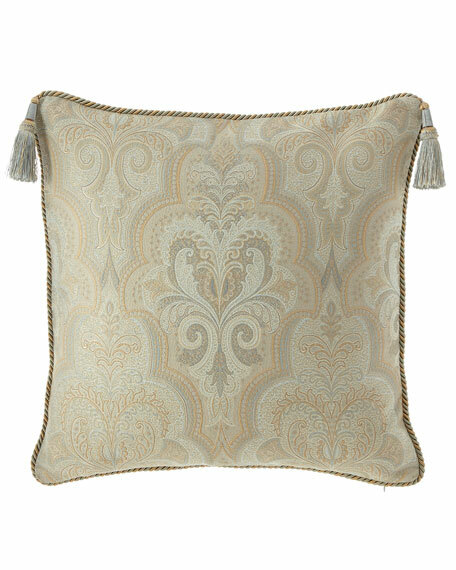 Sham with cord finish and tassels. 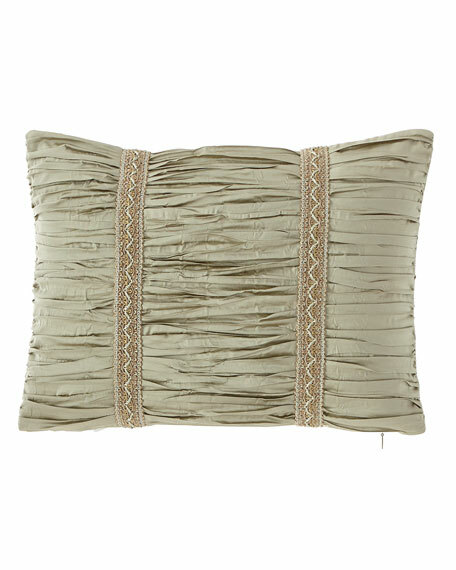 Pieced sham with pleated silk sides. 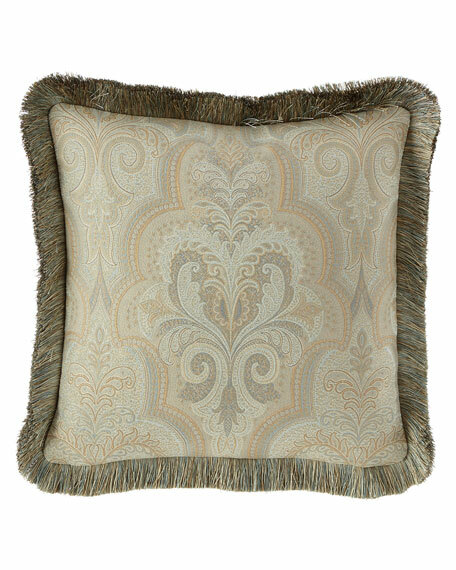 Austin Horn Classics Laurel Pillow, 20"Sq. 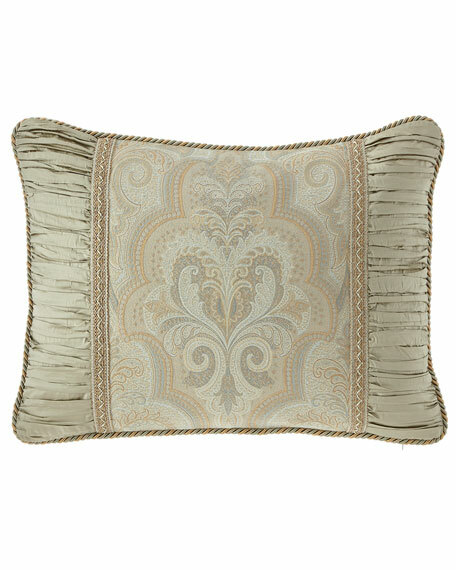 Paisley pillow with brush fringe edges. 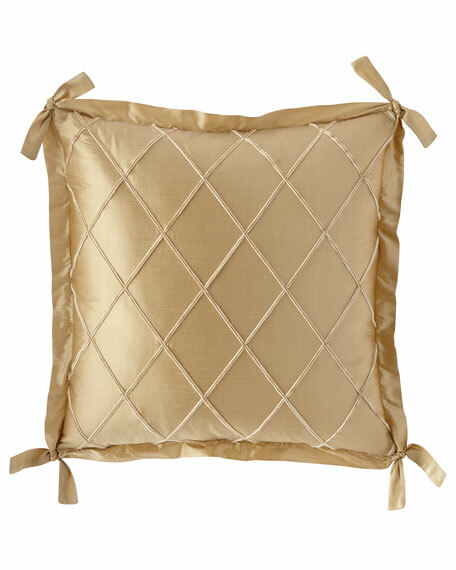 Silk pillow with raised diamond design. 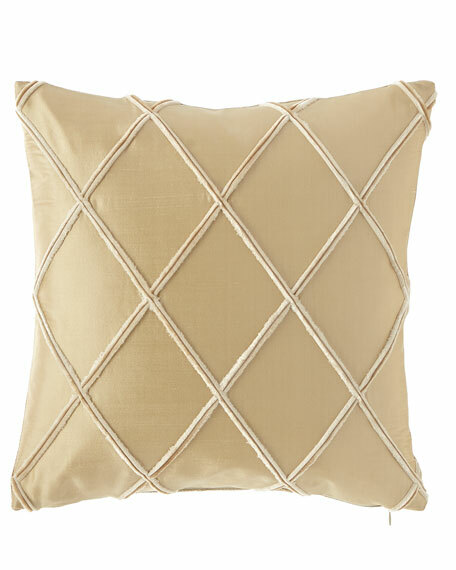 Austin Horn Classics Laurel Boudoir Pillow, 12" x 16"
Silk sham with raised diamond design front. 1.5" silk folded flange ties at corners.